Celebrate the birth of a baby boy with a one-of-a-kind floral arrangement, designed and arranged by a local florist. 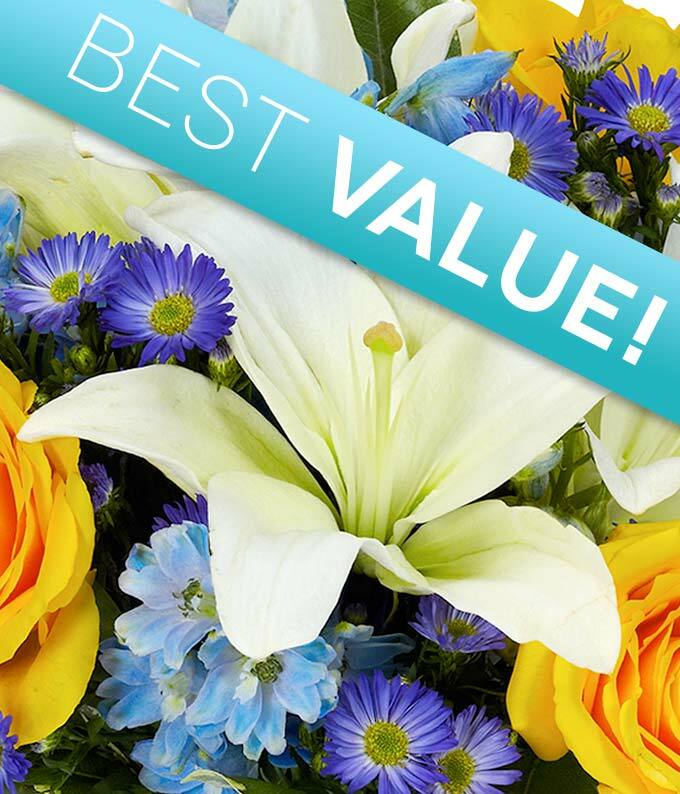 Themed in the colors of blue and yellow, this bouquet is the perfect gift to send to the new parents. Available for delivery today, when needed.